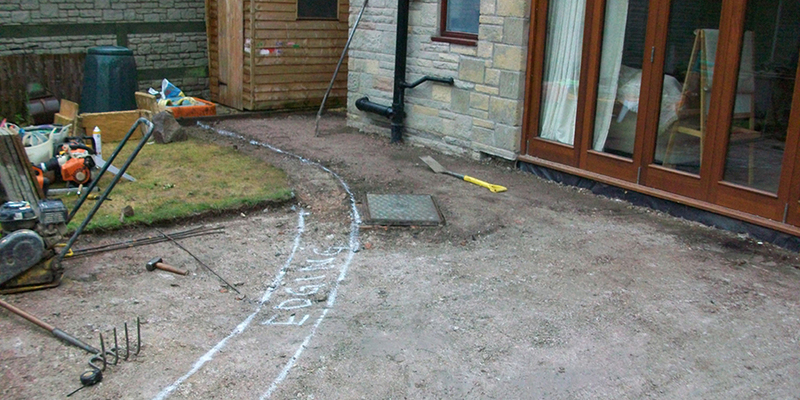 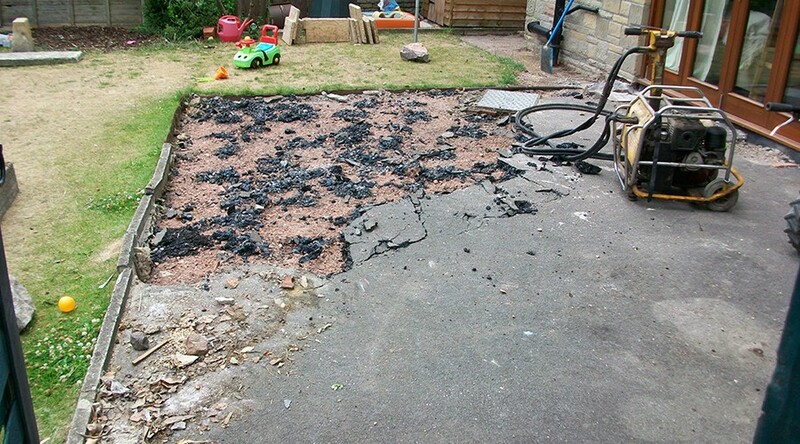 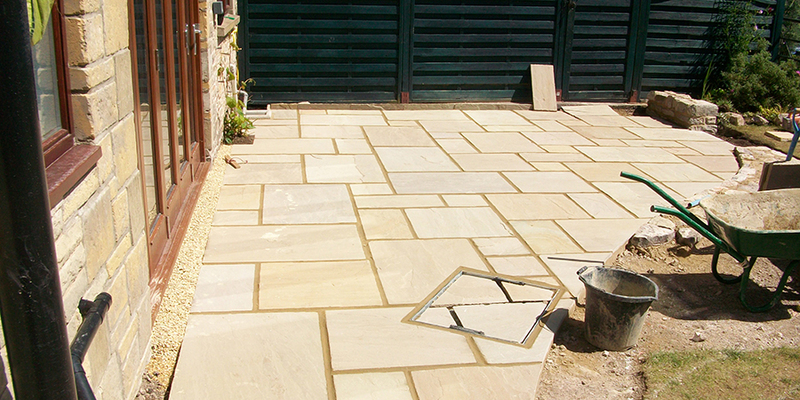 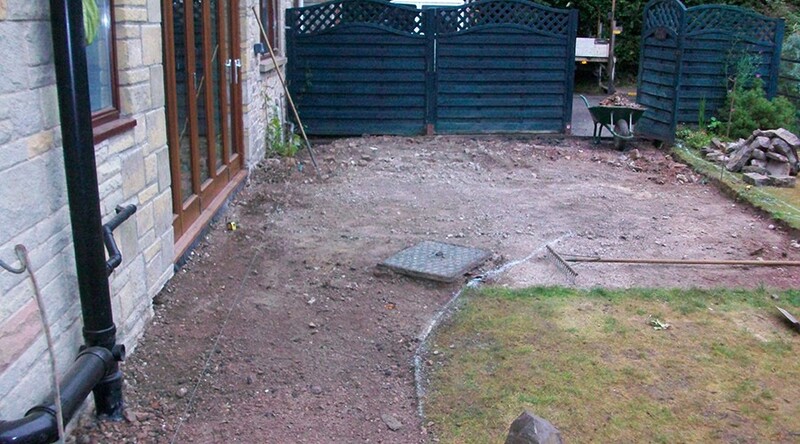 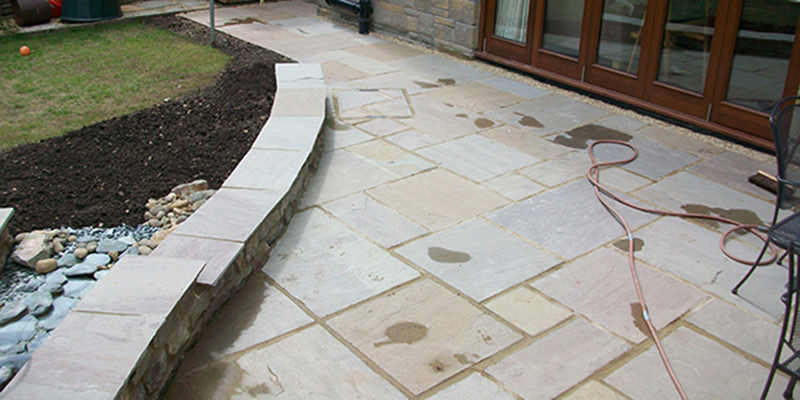 A patio was constructed using natural paving to give a new seating area leading out from there rear patio doors. 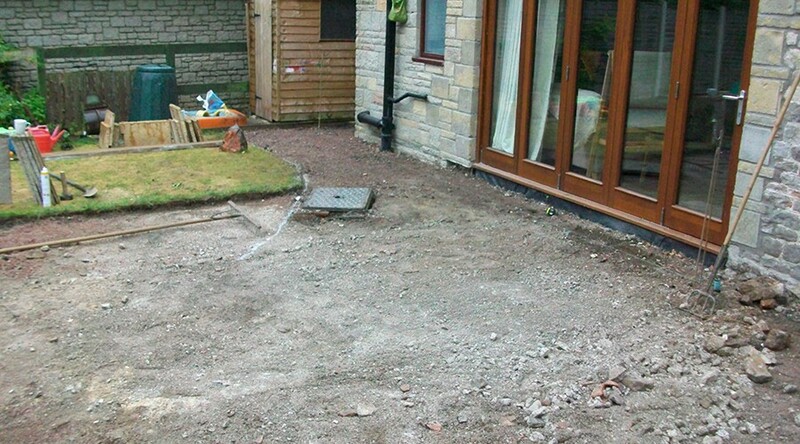 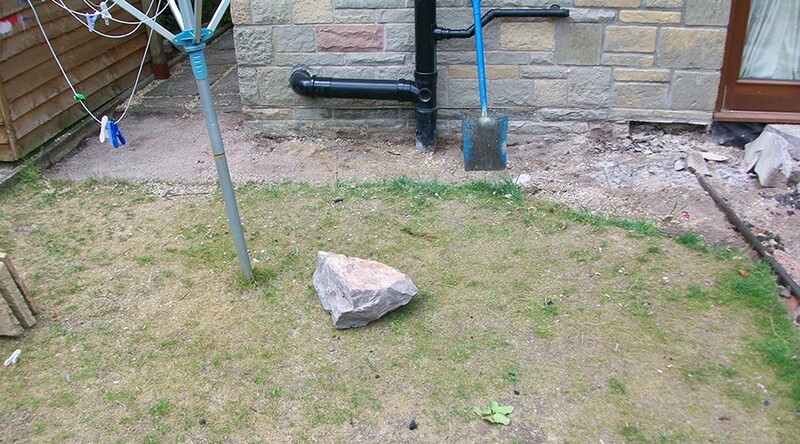 This area was surrounded by a dwarf wall to separate the patio from the grassed areas which was commonly used as a children’s play area. 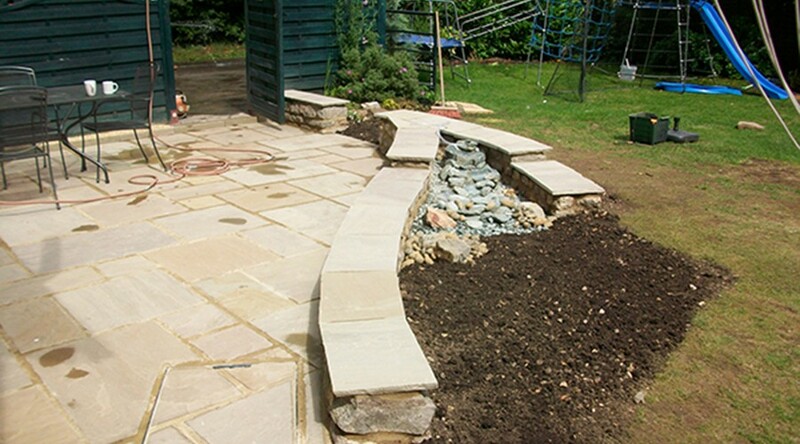 In the centre of this dwarf wall a water feature was built to add a new perspective to the garden. 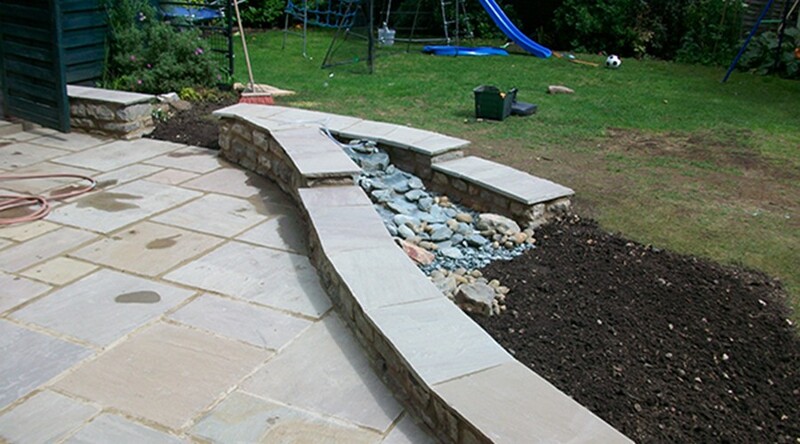 The feature was hand built using a series of different slates and paddle stones to give the desired cascading effect the customers desired.